The FirstPoint team is always happy to answer any questions about studying in the US, but here are the things we’re most often asked. Do you have a process checklist? What does a 'full scholarship' cover? A 'full' or '100%' scholarship covers the cost of tuition, room, board, books and sports related clothing & equipment. Travel to and from America in addition to the cost of the social aspect of living in America will be funded by the student-athlete and not the university. Foreseeing the monetary value of the scholarship that could be offered is something that is almost impossible to predict. In addition to academic results, SAT test scores, timing, available budgets, and the coaches perspective of the individual's playing ability – the college coach is the only one who could say to a prospective student athlete that they will receive ‘a full scholarship’. FirstPoint USA cannot and do not guarantee the ultimate level of scholarship award made to our clients. It is highly likely that you will be required to contribute towards your 1st, 2nd, 3rd, or 4th years at university in the USA. As a result, it would be worthwhile to consider what, if any, level of financial contribution you could potentially afford to make towards fees not covered within the scholarship. The average contribution figure for FirstPoint USA clients in 2010/2011 was approximately $7,500 for the first year (remember, this does not include flights, insurance and social spending etc). If I paid the money to FirstPoint and then received a severe injury ending my sporting career and ability to go to the USA, would I get a refund? If the injury was one that stopped a client from playing their sport, then a letter from their GP would be requested to explain the extent of the injury. At this time, a refund would be considered and calculated based on what stage of the service the client was being withdrawn. However, if it was found that the injury was either pre-existing, or had no bearing on the client's opportunity to compete then this would be reviewed on a case-by-case basis. The general rule of thumb is that after 14 days with FirstPoint USA, as a client, the real expense and expertise of the service is being rolled-out, and refunds are typically not considered for anything not regarded ‘exceptional circumstances’. How many places does FirstPoint USA have available on its program each year? The company will assess over 10,000 applicants per year and carry 400 clients per year on a rolling basis. The American education system is nowhere near as strong as that in the UK or Australia. Is the degree worth anything? In the UK there are excellent universities, good universities, average universities and poor universities. The value of the degree from each will vary dramatically. The US is no different, however with the country being so big there are naturally many more ‘tier one’ academic institutions to choose from compared to anywhere else in the world. At present, the United States has 13 of its universities ranked in ‘The Times World Top 25 Universities’, including Harvard - holding the No.1 spot. This compares to the UK, having 5 universities ranked amongst the best, and Australia only having 1. Students will typically attend a university which matches their academic abilities and credentials to date. What happens if I don’t like it there? For many prospective student-athletes, the recruiting process officially ends when you sign the NLI. The NLI is the National Letter of Intent. Once an athlete signs an NLI, they have committed themselves to that school for at least a full academic year. This also means that the athlete can no longer be recruited by other college coaches, thus ending the recruiting process. Many athletes enter into verbal agreements with schools as well. Because verbal agreements are non-committal, entering into one does not end the recruiting process for an athlete. In a verbal agreement, the coach and the athlete both have the option to back out of the agreement because it is not considered binding or official. You can access the NCAA Guide for the College Bound Student-Athlete here. This is a document published by the NAIA to help educate student athletes about the recruiting process. The minimum requirements are different depending on what level you are going to be competing. The eligibility requirements do not mean you are guaranteed admission into college and often times you will need higher grades to get into college. See related questions for the requirements at the specific levels. For athletes graduating in 2013 you will need: 4 years of English, 3 years of Math, 2 years of Science, 1 extra year of Science or English, 4 years of extra course in any of the above subjects or Foreign Language, non-Doctrinal Religion or Philosophy. What are the NAIA academic requirements? In order to be academically eligible to compete in the NAIA, you have to meet certain requirements set forth by the NAIA Eligibility Center. The NAIA’s academic requirements are different than the NCAA requirements, so make sure that you don’t get them confused. A minimum score of 18 on the Enhanced ACT or 860 on the SAT (for tests taken on or after April 1, 1995). An overall high school grade point average of 2.000 or higher on a 4.000 scale. “How good do I need to be to get a sports scholarship” The athletic skill level of college athletes varies between division levels. 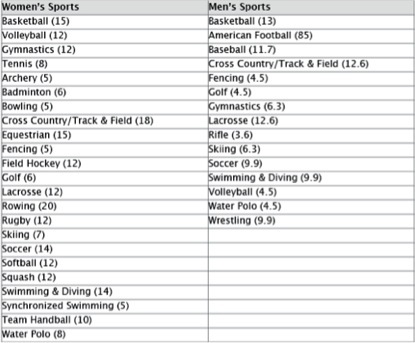 Division 1 sports are highly competitive so any athletes at this level are top-tier competitors. Division 2, 3, and NAIA are a bit less so, but all college sports require a certain ability level. If you are dedicated, hard-working, and a good student, you already have a chance to find a scholarship opportunity at the collegiate level. There are a lot of different things that coaches look for in scholarship athletes. In order to determine where you could possibly compete, it would be a good idea to get evaluated. You can go to a camp or combine and get your stats and times verified by a competent third-party. The NAIA determines academic eligibility by looking at your GPA, class rank, and standardized test scores, the SAT or ACT. 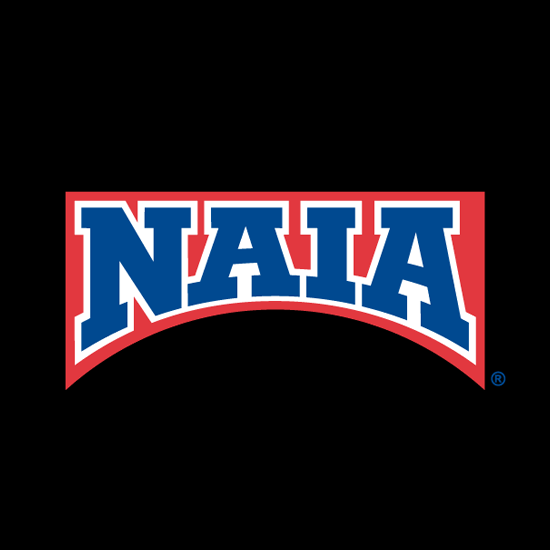 To be declared eligible to compete at an NAIA school you must hit a specified mark in two out of three of those categories: a 2.0 GPA on a 4.0 scale, finish ranked in the top 50% of your high school class, or score above a combined 860 on the reading and writing portions of the SAT or score an 18 on the Enhanced ACT. If you’re an international student from a non-native English speaking country you’ll be required to take the TOEFL exam. The TOEFL exam evaluates a student’s ability to read and write in English. What is the NCAA Division I? This is the top level of athletic competition at the college level. These are typically larger schools with the best athletes. What is the NCAA Division II? This is the second level of athletic competition at the college level. The best DII athletes are comparable to the best athletes at the DI level but choose DII because the school is a better fit. 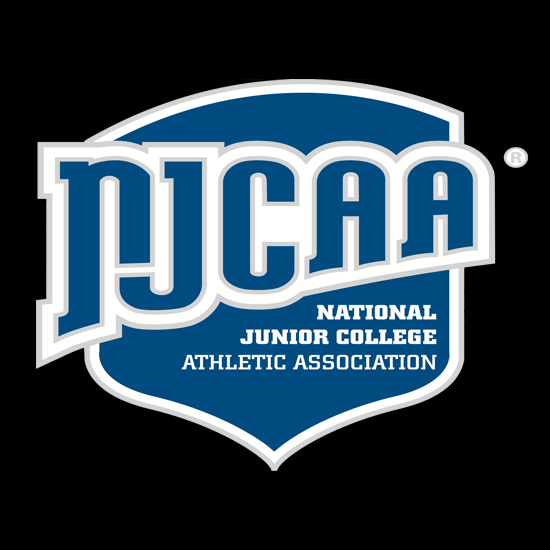 What is the NCAA Division III? This is the third level in NCAA athletics. Athletes here are typically looking for smaller schools and the opportunity to continue to compete in their sport. DIII schools do not offer athletic scholarships but they can offer other forms of financial aid. The best DIII athletes can usually play at the DII level. Sports scholarships are given on a yearly basis. Many athletes and their families make the mistake of believing that athletic scholarships last all four years of college, but that's not true. It means that they award you financial aid one year at a time. You can become ineligible academically by not keeping a GPA higher than 2.0, or committing a violation of student code that required disciplinary action. It is also possible that due to your athletic output you can lose your scholarship. Meaning if you aren’t performing at a top level or if you get a significant injury you could lose your scholarship. High school athletes should register for the NCAA Clearinghouse (now called the Eligibility Center) at the beginning of their junior year. However, everyone has a different recruiting experience, so some might register earlier, some later. Ultimately, only athletes who are going to compete at the Division 1 and 2 levels need to register with the NCAA Eligibility Center. It’s a good idea to start conversations with college coaches at programs you’re interested in before you register for the NCAA Clearinghouse. This is to confirm that you do have interest from either D1 or D2 schools before you spend unnecessary time and money to register. When you do register, a college coach will need to ask that your profile be placed on the Institutional Request List (IRL). College coaches use the NCAA Eligibility Center to verify your academics and your amateurism. Only when a coach does this will your information be processed. Also, until you register with the Clearinghouse, you will not be allowed to go on official visits to schools or receive official scholarship offers. How many scholarships are available in my sport? Many of FirstPoint USA’s clients will dream of being professional athletes and pursue college athletics to make it happen. 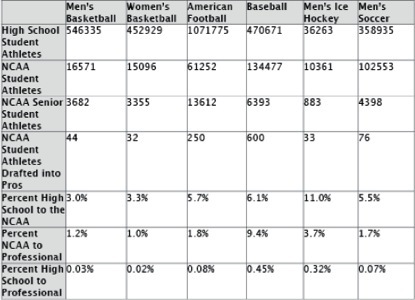 Below is data estimated from the NCAA that compares participation rates of six sports and the percentage of students that achieve their goal of participating in college athletics and then professional sports. Will registering with the Clearinghouse get me recruited? Registering for the Clearinghouse, now called the Eligibility Center, does not get you noticed or recruited by coaches. All the Eligibility Center does is allows coaches to easily find out if you are academically and athletically eligible to compete at the National Collegiate Athletic Association Division I or 2 level. It is not necessary to register for the Eligibility Center if you are going to play at the NCAA Division 3 level. Many athletes just register with the Eligibility Center and expect to be recruited, this will not happen. The Eligibility Center costs $65 for US students and $95 for international students. You should register when you know that a coach from a D1 or D2 level is interested in you, otherwise you are spending unnecessary money. Contracts with a professional team: Most of the time the NCAA will allow you to sign a contract with a professional team, as long as you're not receiving pay or benefits. However, they will closely review any contract you have signed with a pro team. If you are not receiving interest from Division 1 or 2 coaches then it is not necessary to register with the Eligibility Center immediately. Once you have started receiving interest from Division 1 and 2 school you should begin the registration process. This includes answering questions about your academic and athletic history, and having your SAT or ACT scores and transcripts sent to the Eligibility Center. In order to be eligible to compete in college sports at the NCAA and NAIA levels, you will need to register with their respective Eligibility Centres at some point. It is recommended that you register as you enter your junior year only if you know for sure that you will be playing at either level. Make sure you know which division level you are able to compete at before you register for any Eligibility Centre; this will save you both time and money. Joining a club team also gives you an opportunity to work with other coaches who can give you new insights into your game and help you grow stronger as a player. Playing your sport year-round is very beneficial and college coaches look favorably upon high school athletes who commit to doing so. Only NCAA Division 1 and 2, NAIA and NJCAA schools can offer scholarships to incoming athletes. However, Ivy League schools and NCAA Division 3 schools do not have athletic scholarships. These programs use financial aid from other parts of the university, but not from the athletic department. While not all of the schools you’re interested in can offer you an athletic scholarship there are other types of scholarships you can earn if you qualify. These include academic and merit-based scholarships. That’s why it’s important to get your GPA as high as you can and do well on the SAT and ACT. Being a strong student and athlete will help you find more college opportunities and get financial aid. Make sure you work hard to be a well-rounded student athlete; college coaches are only interested in athletes who succeed in both the classroom and on the field. Having the skill and flexibility to compete in multiple sports in high school is very attractive to college coaches. You have a wider variation of physical strengths and techniques and are trained to be in competition for a majority of the year. However, being involved in more than one sport is also time-consuming, which means you need to have strong time-management skills. Succeeding in school is much more important than dominating in multiple sports. High school athletes also need to be aware of their physical and mental limits. There is more stress for athletes in multiple sports. If an athlete struggles with the balance, his performance may suffer in his sport and in the classroom. As a high school recruit, it’s a great benefit to participate in multiple sports. In some cases, a student-athlete may have to choose just one if they want to be able to focus on their development. Make sure to take the time to think about which sport you love the most, even if you are better in another. Without the passion to play, the rigorous schedule of competition in college won’t be a fulfilling experience for an athlete. The length of the recruiting process is different for every student athlete. Ideally, you should start the recruiting process as soon as your 1st year in High School. There is a ton of information to know about the recruiting process so being prepared once you start high school is a good idea. Doing research or obtaining the help of a recruiting service are both great ways to help you get ready for the recruiting process as you enter high school. Start by scheduling the core courses you need to be eligible for the NCAA. Once you have your classes set, start researching colleges you’re interested in. You’ll also want to put together a resume that highlights your athletic and academic accolades, with a recruiting video and a short cover letter telling the coach why you’re interested in their program. Then start contacting coaches and sending them your resume. When you sign your NLI, you should make sure you sign it in duplicate. Then you keep one copy and send the other back to the college. It‘s always a good idea to keep a duplicate copy for your records in case something happens to the copy you try to send back. 3) scan it back into the computer and email it to the coach. It’s always a good idea to send the coach a hard copy though, in addition to a fax or an electronic submission. What is a prospective student athlete (PSA)? A prospective student athlete, or PSA, is any high school athlete that is getting recruited by college coaches. The NCAA officially gives this term to athletes when they enter ninth grade. It also is used when a college gives any financial aid or other benefits to an athlete before a student’s 16th birthday. Coaches who are interested in an athlete and the athlete is interested in their school, they become a PSA by communicating openly with that coach. High school athletes can be considered PSAs to multiple coaches, since there might be many colleges interested in that athlete. Why do FirstPoint USA charge a fee before a scholarship has been secured for me? Why can't FirstPoint USA guarantee me a scholarship offer? Do I get a refund if FirstPoint USA fail to provide me with the scholarship offer to the college I want? Are FirstPoint USA sports agents? No. Having a professional agent is against NCAA rules (see NCAA rule 12.3.1 ‘Use of Agents’) and having one could make you ineligible to compete in college sports. FirstPoint USA does not provide services to professional athletes nor do we charge a fee based on the level of scholarship you receive. FirstPoint USA’s fees are solely for the guidance and advice we provide throughout the athletic recruitment process. What does it mean for FirstPoint USA to be NCAA approved and certified? In July 2012, FirstPoint USA became one of the first sports scholarship agencies to become approved as NCAA Compliant (National Collegiate Athletics Association). NCAA Division 1 colleges and universities are only permitted to work with scholarship agencies that are approved through the NCAA scouting service approval process. The NCAA is recognised as the main governing body of American college sport. The association oversees 89 championships in 23 sports. There are more than 400,000 student-athletes competing in three divisions at over 1,000 colleges and universities within the NCAA. The approval process was implemented by the NCAA national office, to ensure compliance with legislated requirements governing the elements required to permit an institution's subscription and interaction with scholarship agencies and their prospective athletes. FirstPoint USA's scholarship service is one of the most comprehensive and successful in the World. 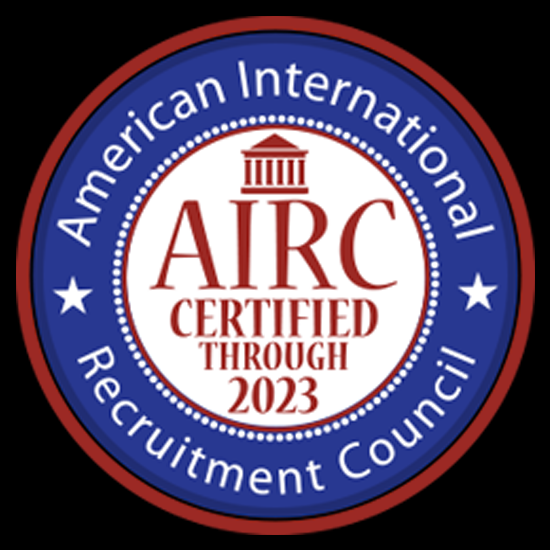 The company has assisted over 4000 student-athletes with their placement at American colleges and universities since 2001.